At the heart of systems integration lies systems thinking, a discipline for seeing wholes, interrelationships and patterns of change. By focusing on the interrelationships among key elements within a system, and the influence of these interrelationships on the system’s behavior over time, leaders implementing improvements can pursue several goals at once, simultaneously reducing the potential for unintended consequences by predicting upstream and downstream influences and effects. By coordinating efforts across systems of care, programs to improve maternal and child health (MCH) can increase coverage and reduce barriers to the use of services and supports. Linking medical and non-medical sectors (to encompass education, housing, social services, mental health, and early childhood systems) can help minimize risk factors and promote health and wellness across the life course. MCH leaders need a broad understanding of system thinking in order to achieve collective impact. They need to hone their leadership skills and master the concepts of systems science, system dynamics, mental modeling, concept mapping, network analysis, and technology systems. Health transformation offers both challenges and opportunities for MCH delivery systems. MCH professionals will play an important role in developing systems and integrating services that optimize the use of human and financial resources, and address disparities at the population level. While the concept of systems integration is not new, its application to MCH in light of changing health systems presents a unique challenge, and opportunity, for MCH professionals. This Spotlight provides links to selected trainings and related tools on the topics of systems integration, integrated services, and systems development. It addresses a priority focus of the National MCH Workforce Development Center. As online trainings emerge, the MCH Navigator will update this resource with new material. These trainings support the National MCH Workforce Development Center as it offers state and territorial Title V leaders training, collaborative learning, coaching and consultation in implementing health reform in four core areas: access to care; quality improvement; systems integration; and furthering change management that will lead health transformation for MCH populations. Also see the Health Transformation Portal for additional resources. This Spotlight provides links to selected trainings and related tools on the topics of system integration, integrated services, and systems development. It addresses the 5 competencies for needed improvement identified by the National MCH Workforce Development Center. As online trainings emerge to address all of the competencies identified, the MCH Navigator will update this resource with new material. These learning opportunities address the National MCH Workforce Development Center Systems Integration Competency: Gain exposure to systems science terminology and methods, and the breadth of health- related applications for current programs addressing MCH public health challenges. MCH Primer: An Angle on MCH Systems. Hosted by Dr. Lew Margolis of the University of North Carolina at Chapel Hill, this training module explains how MCH systems in the U.S. are interconnected. Date Developed: 1/1/2011. Source: Maternal and Child Health-Public Health Leadership Institute. Presenter(s): Dr. Lew Margolis. Type: Narrated Slide Presentation. Level: Introductory. Length: 43 minutes. Strengthening Health Systems to Improve Maternal, Neonatal and Child Health Outcomes: A Framework. Provides a framework that positions international maternal, newborn, and child health (MNCH) interventions within the broader health system. Contents include a review of concepts and definitions, an overview of existing health systems frameworks, and a description of the proposed framework's elements and a discussion of its potential applications. Date: 2011. Type: document. Authors: A. Ergo, R, Eichler, M. Koblinsky, and N. Shah. Source: U.S. Agency for International Development, Maternal and Child Health Integrated Program. Level: Introductory. Length: 25 pages. Systems Thinking for Maternal and Child Health: Application in Practice. This webinar demonstrates how to apply systems thinking to maternal and child health and analyzes the advantages of using this method to solve current and future challenges in public health. Date: 11/8/2011. Source: Alabama Public Health Training Network . Presenter(s): Donna Petersen MHS, ScD. Type: Conference Archive. Level: Introductory. Length: 90 minutes. Using Systems Thinking and Tools to Solve Public Health Problems. In this archived webinar Dr. Allan Best will provides an overview of systems thinking and practical tools to help navigate and analyze complex systems. Drs. Ross Brownson and Ken McLeroy provide real-world examples of how systems models can be applied in a variety of settings. Dr. Brownson highlights the use of concept mapping, and discusses the different levels that should be considered when implementing evidence-based programs within organizations or developing public health policies. Dr. McLeroy focuses on the use of social network analysis as a tool to analyze community capacity and ensure that organizations and communities are working together to develop, implement, evaluate, and sustain effective programs. These learning opportunities address the National MCH Workforce Development Center Systems Competency: Learn how to identify complex problems for which different types of systems science methods are useful. Achieving Health Equity through Policy, Systems and Environmental Changes. This program highlights a public health approach that includes policy, systems and environmental changes that can significantly impact the social determinants of health and subsequently lay the groundwork to achieve health equity. It explains health disparities, health equity, and social determinants of health, giving examples as seen in community health centers. Date: 10/21/2010.Source: School of Public Health, University at Albany, State University of New York. Presenter(s): Robert Fullilove, EdD; Pamela Ferrari, RN. Type: Webinar Archive. Level: Introductory. Length: 62 minutes. Comparative Effectiveness Research (CER) Applications for Public Health. Speakers discussed proven and emerging methods for conducting CER and proposed approaches for using these methods to address population-level inquiries. This webinar will be of interest to those investigating systems and population level health challenges. Date Developed: 12/03/2013. Source: Academy Health. Presenter(s):Suzanne Bakken, R.N., Ph.D., FAAN; Anirban Basu, PhD; Marisa Domino, PhD. Type: Webinar Archive. Level: Introductory. Length: 90 minutes. 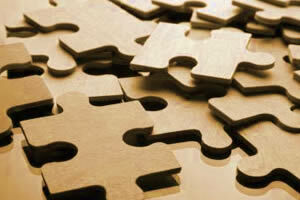 Evaluating Systems Integration: Essential Components. 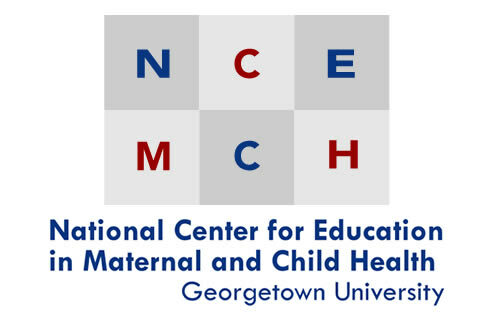 This webinar examines the evaluation of Maternal and Early Childhood Home Visiting (MIECHV) grantee efforts to increase interagency collaboration and integration of home visiting within an early childhood comprehensive system and with other community systems. During this webinar participants learned of systems evaluation including tools and measures, and identified evaluation design options that strengthen integration systems. Date developed: May 27, 2014. Source: Maternal, Infant, and Early Childhood Home Visiting (MIECHV). U.S. Department of Health & Human Services. Type: YouTube video. Length: 90 minutes. Legal and Policy Issues in Systems Integration for Maternal & Child Health. Presents fundamental questions to consider when exploring systems change across programs and agencies. Date Developed: Unknown. Source: National MCH Workforce Development Center, AMCHP. Presenter: Julia F. Costich, JD, PhD. Level: Intermediate. Type: PowerPoint Presentation. Length: Self-paced. These learning opportunities address the National MCH Workforce Development Center Systems Competency: Identify new leverage points for change with MCH systems. Transformation of the Maternal and Child Health Block Grant: MCH Transformation 3.0. In this informational video, Dr. Lu explains how the U.S. Maternal and Child Health Bureau has been working in partnership with the leadership in State Title V Maternal and Child Health (MCH) programs, national MCH leaders, and other stakeholders to develop and refine a new vision (titled MCH 3.0) for transforming the MCH Block Grant to better meet current and future challenges facing the Nation’s mothers and children, including children with special health care needs. Dr. Lu explains how MCHB has used a three-proged approach to begin this process and discusses the evolution of MCH 3.0. Date Developed: 12/20/2013. Source: Maternal and Child Health Bureau. Presenter(s): Michael C. Lu, MD, MPH. Type: Video. Level: Intermediate. Length: 30 minutes. These learning opportunities address the National MCH Workforce Development Center Systems Competency: Utilize system diagrams to describe and study complex system problems across multiple stakeholder groups (i.e. system dynamics causal-loop diagrams or integrated service diagrams) to facilitate collective impact and improve outcomes. New trainings coming soon from the National MCH Workforce Development Center. Check back soon. Optimizing Health Reform to Integrate Service Delivery Systems for Women, Children, and Their Families. This presentation highlights the efforts of states to integrate health care services for low-income women and children, especially through state Title V maternal and child health programs. Date developed: October 2011. Source: AMCHP and the Commonwealth Fund. Length: 90 minutes.